hubsell is used by a software startups, SMBs and enterprise companies across different verticals and geographies. Fits with any company looking to expand their market share and reach. 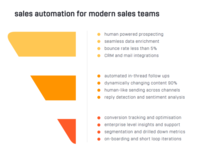 hubsell is a B2B sales automation solution that helps companies uncover new opportunities and create engaging conversations at the quality of doing it manually but without having to do it manually. 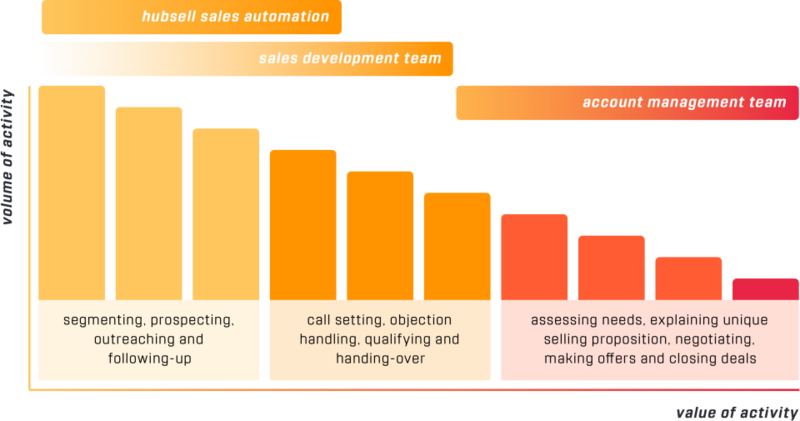 hubsell replace ineffective, inefficient and expensive cold-calling with automated and intelligent outbound lead generation. It's my favorite sales & marketing tool. It helped us grow our business very rapidly. Pros: The best thing about this tool is that it saves a lot of time in lead generation. You can set up your segment and they will search prospects. Next to this, you are then able to qualify those prospects using e.g. LinkedIn. And if you disapprove a prospect, it doesn't use any credit. This will prevent you from spamming and helps you to reach your target audience. Next to this, you are able to export all the data (it's possible to use their analytics, but I always prefer Excel). For our company this tool made a huge impact on our growth. We have three persons using this tool fulltime as the start of their search for prospects. They use the tool to create meetings for our account managers and since we use it I haven't seen a lot of account managers at our office. If you're in doubt, contact them and give it a try, you will be amazed! Cons: It's hard to find a real con about this tool. I must be honest, you can see this tool is created by a start-up, there are some bugs here and there. But each time I find a bug they give it high priority. One time I reported a bug, they fixed it within ten minutes and all was good again. So, their 'con' of having bugs now and then isn't really a con as their customer service is truly incredible! You can see that they really care about their customers and are always standby on the chat. Overall: It helped us grow our company. You should definitely give it a try. If you want to create new business, you'll love it! Thank you, Mark, for your in-depth review. It's a great tactic to reach out to prospects via LinkedIn (qualitatively). Good to know you're account managers are busy doing what they do best - engaging prospects and closing deals. Happy to hear more of your feedback and comments should there be features requests or use-cases you're planning to explore. Pros: - Customer support is fantastic. The team are very personal and highly responsive. They are also quick to add developments and features. - Quality of contacts generated is high. Deliverability rates are good and the data is standardised and well tagged. I also like the way contacts are searched and delivered on demand via a high level brief. - Emailing program looks simplistic but is quite robust. Complex personalisation can be done easily via formulas and replies can be tracked effectively. - Integration with CRM (Hubspot) works well, and formulas can be set to push custom field values when needed. Cons: - Parts of the user experience could be improved, for instance, the contact filtering per campaign and actions that were taken by the recipient. - More support with the drip email optimisation could be a bonus, even for non-English campaigns. 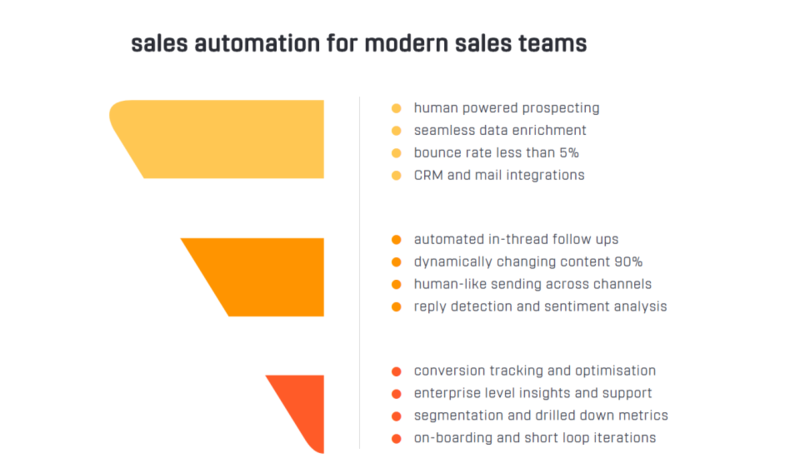 Overall: All in all, Hubsell is a service I would recommend for Sales/Marketers who want a steady flow of new contacts that can be generated for Outbound activities, without having to do all the work themselves (e.g. using plugins, or buying cheap lists that have a high bounce rate). Thank you for your review, Rachel. I think you hit all boxes there for a great review. And happy to hear your critical feedback as well, luckily you resonate well with the other reviewers which is a strong confirmation about what we need to do. Stay tuned in the coming months as some major changes (for the better) are coming to the software. Perfect for outbound leadgeneration without the need of cold calling. Pros: - easy setup of the segments - target group. 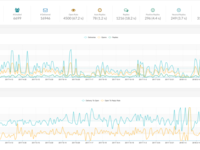 - nice overview of the actual stats including sentiment analysis of the replies. - not only static but dynamic placeholder for the mailing. Thats a huge difference to other tools i tried! Cons: The onboarding is definetly needed. Not everything is intuitive. The editor for creating a mailing is wysiwyg but it takes a little while to get used to the static and dynamic placeholder to get the best out of it. Overall: more outbound leads! without the hassle of cold calling. Thank you, Thorsten. We appreciate your feedback and support. We're always working on improving our UX/UI to speed up the onboarding process. After I started using hubsell, I could finally start focussing on what really requires my skills. Pros: hubsell immensely reduces the time I have to invest in researching and setting up dialogue with my relevant decision makers. As a Business Development Manager I need to make sure that I use my time wisely and only focus on prospects who are really interested in collaborating with us. hubsell basically takes over the time consuming grunt work by providing data and automating outreach across channels. It is a great way for me to increase productivity and keep my focus on what really requires my skill. Cons: The only thing that I'd ask the hubsell team is to improve the interface, having said that the hubsell team has been very receptive to feature requests. Happy to know you've benefited from using hubsell and thank you for your feedback, Sebastian. The interface improvements are on our roadmap and we're adding them in piecemeal sizes across the software. Feel free to shoot me an email directly with any other improvements that you'd like to see in the software or our support. Hubsell became a permanent part of my sales toolset, so give it a try. Pros: Hubsell has helped me and my team to fully shift from doing the repetitive to focus on engaging with potential customers. 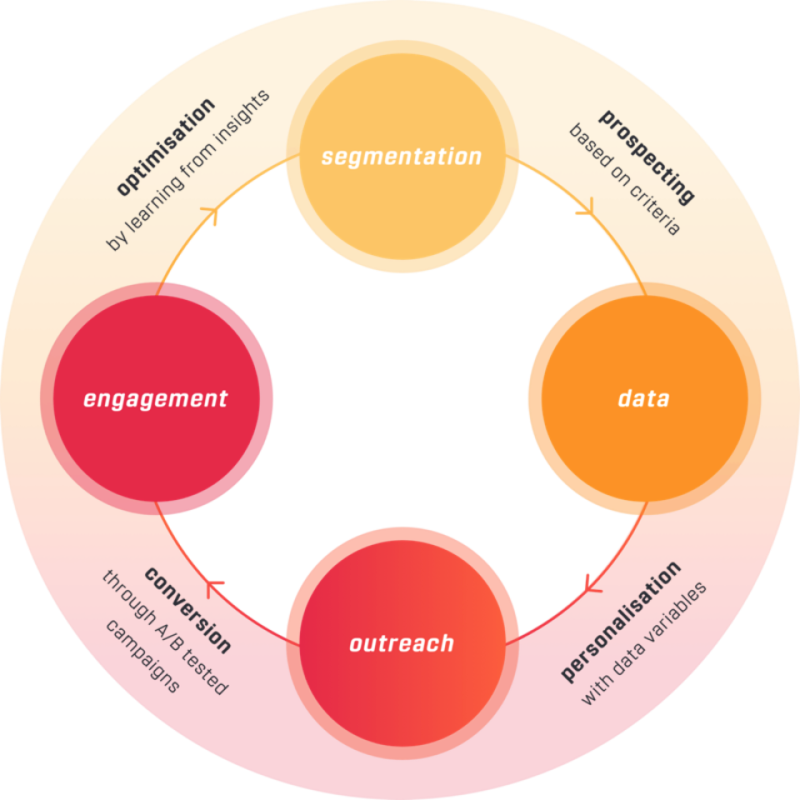 The data relevance and quality are so high that I don't have to worry about re-qualifying prospects, they go straight to a campaign and quite a lot of them end up as appointments. 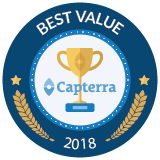 The core value for me is that everything that I need for my team is in one software instead of the plugging gaps using different providers. Secondly, the quality is reliable and always at the same level, so everyone in my team gets the same kind of chances. Cons: It would help if the on-boarding process can be made easier for new users and some adjustments to the UX would help the day to day usage. Thank you, Maria. Very helpful feedback and definitely one of the our core foci for improvements in the short term. Happy to know hubsell was able to help you and your team with generating a pipeline. Pros: It helped us save days of data research, automate emails and find responses that we needed much faster than having 2 full time BDRs. Cons: The product could evolve more in feature set and initial usability. It was super easy to use once set up properly. Overall: Saved us time, money and got us customer responses that we needed from super targetted accounts. Its a must have tool for outbound prospecting. 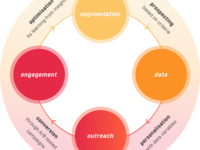 Hubsell is an immensely useful tool, which saves us a lot of time to develop our outreach. Pros: - Easy to use. - Delivers high-quality leads quickly and reliably. - Generally, a great way for startups to grow and develop their email outreach. - Amazing support from the Hubsell team across the board. Cons: As an analytics-oriented person, I would love to see more sophisticated analytics. However, knowing the Hubsell team, it's only a matter of time until these features are implemented. Thank you Marvin. Happy to know that the software is helping you save time. Looking forward to receiving any feature requests. We are very happy with results. César - thank you for your feedback and support. Feel free to reach out and let us know what features you had in mind and we can see how well they fit the use-cases of other customers as well. Pros: Hubsell makes you look at your sales process in a different way and makes sure that you really focus on prospects that matter to you, based on the segments that you created yourself. It has teached me so much and the customer service is great - you can never ask too many questions and will always get a quick response. Cons: I'd love to make analysis within the software itself, but that's just extra and I'm pretty sure they're working on it. Thank you, Julia, for your review and feedback. You guessed it right that the reporting and analysis capabilities of the software are currently one of our foci for development. We're hoping to provide you with all the information that you need to create a self-improving iterative process. Pros: I highly recommend Hubsell if your company is focused on reaching the highest level of sales outreach in the most efficient way. Thank you, Alena. We appreciate your feedback and your support. 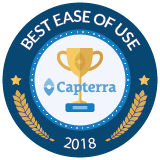 A lot of our users resonate with your feedback regarding the learning curve and that's one of the things we're focusing on in Q2 and Q3 of this year. So stay tuned and keep sending us feedback. Wow. Above and beyond any other related tool. Cons: The UI needs some improvements. There are some obvious EU-only aspects to this product, but this (I'm told) is being changed for the US market. Hi Alex, I'm glad you like our software. Thank you for your positive review. The UI/UX shortcomings are resonated by pretty much every review here, so it was a big sign for us to focus on that. We're in the process of doing some overhauls of the look and feel of the software but also the underlying user journey. Pros: Finding the right people to engage has never been so easy and cost-effective. Since I have started engaging my prospects using hubsell my email conversion rate and overall pipeline kpis have grown exponentially . Thank you for the feedback, Dan. UX and ease of use related features are on our product roadmap and we're happy to receive your feedback on how we can make the software better. Hubsell is not only a software provider - they are a reliable partner! 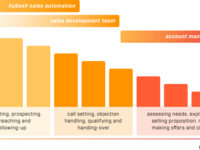 Pros: Hubsell is an innovative product that helps us scale our sales efforts. The quality of the prospects is far above average regarding bounce rates and accuracy. Their support is outstanding! Cons: As our approach is highly data-driven we cannot have enough options to measure and analyze - but I'm sure the roadmap is filled with nice features. Toni, you guessed it right. Analytics and reporting is on the roadmap as are many other nifty features. Happy to support you and your team in reaching your markets. Thank you for your feedback and confidence. Pros: Very great customer support, which is helpful and super fast! Hubsell is probably the best product on the market to send out highly targeted outbound campaigns. Best: its dgsvo compliant! Cons: its a startup, so there are some minor issues. Overall: I can recommend it, to anybody that uses outbound in their b2b marketing mix. Amazing customer service. Great value for the money. Pros: The software does the follow up for you and you can only go better and better if you follow the instructions. Cons: Sometimes it gives you prospects which are not connected to your field and it wasting your time to check them. Thanks for the feedback Itai. The relevance of prospects provided for approval is a challenge we take very seriously (unfortunately, it's an industry wide issue). We're working on a solution and we'll keep you updated on the steps we're taking to address it. Cons: Like any software product, there's always some small enhancements that would make the underlying features easier to use or slightly more powerful, but they've definitely nailed the core of the product. Be sure to share with us any and all feature requests that could help make the software better to use for you. Pros: I really like the different possibilities hubsell offers when it comes to automation. Cons: I'm looking forward to seeing more of those integrations. Thank you for your feedback, Baptiste. We'll continue connecting more sales and marketing tools to hubsell.